Oleg Savitsky, a climate and energy campaigner, has written a devastating analysis of the current state of the Ukrainian energy system for the Succow Stiftung, a German foundation working to preserve the natural heritage in Eastern Europe (the former Soviet bloc). 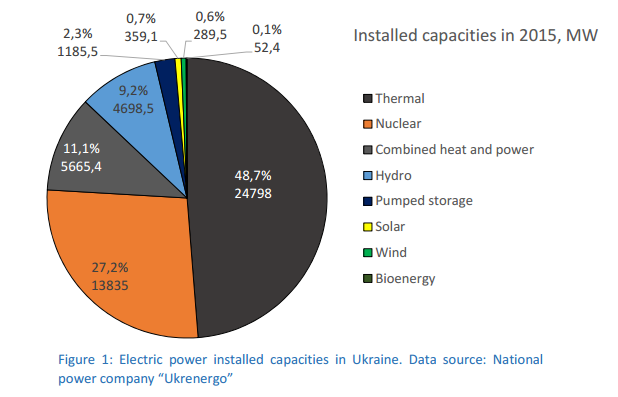 Currently, Ukraine’s power capacity is dominated by thermal power plants (49%) and nuclear plants (27%). A number of these nuclear plants operate well beyond their designed lifetime and represent a threat to the entire European continent, notes Savitsky. Ukraine is of course the home of Chernobyl, the scene of the worst nuclear accident ever to happen in Europe. For their operation, the Ukrainian nuclear plants also depend partially on Russian uranium. Many of the nuclear and coal power plants need to be decommissioned in the coming years, or restructured at high cost: “By 2040 most of existing fossil-fuel and nuclear (even if they will be granted with life-time extensions) capacities in Ukraine will retire due to technical reasons.” The thermal power plants are so inefficient that they only produce power one third of the time. They have even lower load factors than the emerging renewable sources, which currently account for just 1.4% of capacity. Then the electricity and gas grids need major renovations. Most of the infrastructure was built 40 to 50 years ago. In 2013 power losses accounted for 20.7 TWh or more than 50% of household consumption (41 TWh in 2013). Last but not least, Ukraine’s energy sector has major governance problems, characterised as it is by monopolisation and lack of transparency. The power supply is controlled by large, intransparent corporations or individual oligarchs. According to Savitsky, a transition from the current dysfunctional system to one based on renewable energy would solve all of these problems at once. It would obviously reduce Ukraine’s dependence on Russian-controlled gas, coal and uranium, and thereby greatly improve the country’s security of supply. This is not even mentioning the contribution renewables would make to improved air quality and lower greenhouse gas emissions. The unbundling of energy production from transmission and distribution, which should be part of the transition according to Savitsky, would, together with anti-monopoly legislation, provide incentives for new investment, possibly leading to thousands of new jobs. Energy efficiency measures and building renovations will also create many jobs in the construction sector. An additional benefit of such a transition is that it would align Ukraine with EU energy policies and rules, enabling it to integrate into the EU energy market. Ukraine is a member of the Energy Community, which prepares countries for integrating their energy systems and policies with those of the EU. 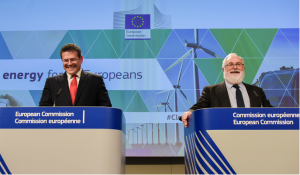 It puts obligations on the member states in the form of governance reforms, energy efficiency improvements and reduction of hazardous emissions. Savitsky notes that the only way Ukraine could realistically fulfill these obligations is by phasing out its centralized power generation. 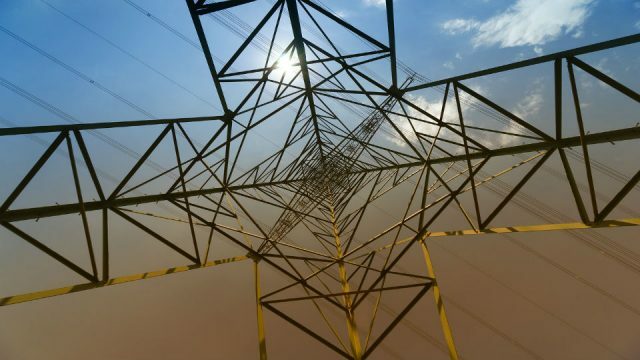 For the EU Ukraine’s progress in transition to sustainable energy economy is “vitally important” for the success of the Energy Union, the ideal of a pan-European energy market. “Integrity, security and sustainability of energy supply cannot be achieved in Europe without major improvements in the energy sector of Ukraine”, Savitsky writes. The good news is that an Energiewende in Ukraine is quite feasible. 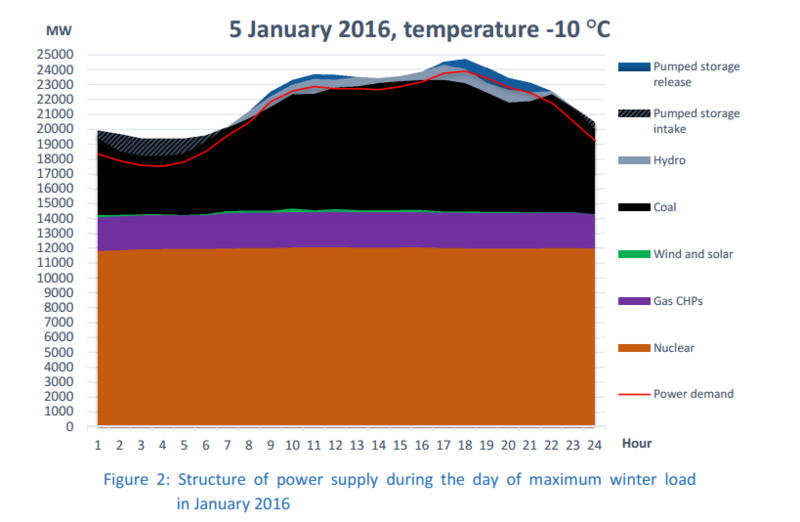 Savitsky notes that Ukraine currently needs 25 GW of peak power supply in winter time and 17 GW in the summer. This is half of the 50.9 GW in generation capacity that it has today. He expects demand growth to be limited as a result of increasing energy efficiency, the decline of obsolete energy-intensive industries and the territorial breakup of the country. In 2013 peak demand in winter time was 28 GW. 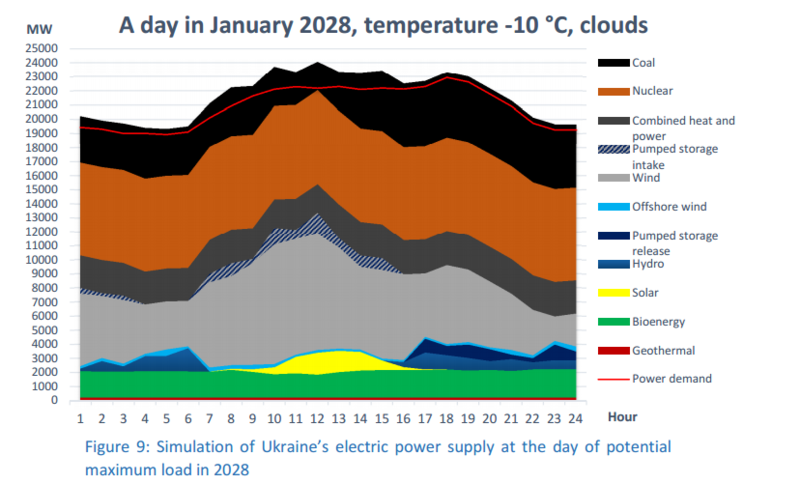 If centralized nuclear and coal power plants were to be shut down altogether, Ukraine would have a deficit of around 20 GW of “guaranteed” power supply, notes Savitsky, as existing large hydro and renewables combined already provide more than 5 GW. 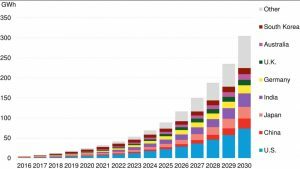 To achieve this goal, the country would need to add 1 GW of “guaranteed” supply for 20 years. This amounts to around 3 GW of renewable energy capacity, given their lower load factors. There are several reasons why this is quite feasible, according to the author. Germany, for example, built 84 GW of renewable capacity in just 15 years. Ukraine has several advantages over Germany. It has better insolation, resulting in higher capacity factors for solar PV. It has much more space for onshore and offshore wind. It is also a major agricultural producer with the potential to become the biggest bio-energy producer in Europe. It also has significant geothermal potential. I can agree with the overall sentiments expressed by Mr Savitsky: renewables offer a way forward for Ukraine in terms of cleaner energy and a greater measure of energy independence. In the case of nuclear: the Chernobyl incident was down to 100% human failure (Dorner: The Logic of Failure). Nuclear reactors operating beyond their design lifetimes also occurs in other countries (hi France). This begs the question: do French nuclear reactors represent a threat to the entire European continent? 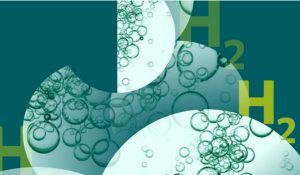 (or Belgian ones for that matter – how are the hydrogen induced cracks in the pressure vessels developing?). With respect to the east of Ukraine (coal, corruption & terrorists), the only solution is a political solution that has to involve Russia. I have done some work on Ukraine and renewables. I agree with Savitsky that the country has some good wind resources, is a good location for PV and has a large number of unused small hydro systems (built in the 1950s and fallen into disuse). The overall mix lends itself to both large-scale systems (which should appeal to the large energy companies) as well as communal/community systems, which should be attractive to oblasts/local governments. Bio-mass driven CHP with district heating is a “no-brainer”. This leaves difficult to answer questions such as: who funds these things, who implements? If Ukraine moves forward at any scale with respect to renewables it needs to involve some of the existing mostly fossil & nuclear players – or at least provide the opportunity to such players to be involved – if they decide to stick with their smoke-stacks or atom-bangers – well that’s their problem (& ultimately their loss). In terms of energy efficiency, the energy rennovation of housing (both apartments and individual houses) should be done as a matter of urgency. Who funds, who implements? Talking to some of the “high net worth individuals” in Ukraine, one of the current problems with funding is the role of banks that lack the capacity, sometimes stand in the way of funding from sources such as the EBRD, or charge daft interest rates (I’m not making this up – this is first hand stuff). Ukraine: great possibilities but the devil is in the detail. 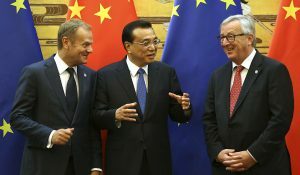 The EC/EU can only do so much – ultimately it is down to Ukraine, political will to do something and the need to get all sections of society “buying into” the move to renewables. The nice ideas of Savinsky won’t happen (soon) as a German-like Energiewende doesn’t support (the power of) the ruling energy tsar’s. Even if government would succeed to get Energiewende like laws accepted, then the levels of (semi-)corruption in Ukraine will turn it into a failure. Interesting! Sounds like some good potential for wind and solar, but forget about a German Energiewende, which requires some heroic assumptions which are even being tested there. How would Fig 9 above for 2028 look if it was a calm day? The present nuclear reactor fleet is sound, providing 13 GWe net, and has been significantly upgraded since independence. Much to agree with here. Energy Community should be taken more seriously. Ukraine has enormous scope for energy efficiency and renewables, as Suzanna Hinson and I argued in http://www.cer.org.uk/publications/archive/policy-brief/2015/cleaning-neighbourhood-how-eu-can-scrub-out-bad-energy-policy. Problem with Energiewende is that it sets wrong priorities: first shut nuclear, then coal, then gas. It should be first shut coal (at least unabated coal), then gas, then nuclear – if you want to move to 100% renewables, which we don’t think is correct end objective. Ukraine would require extensive investments in wind and solar technologies to supplant any significant portion of current electricity supplies. The corresponding development in Germany has led to rising consumer electricity prices that presumably would be beyond the reach of most Ukrainian households. No government can long endure on a foundation of energy poverty. At the same time, Germany’s energy transition remains modest and – particularly with respect to nuclear substitution and CO2 reduction – behind schedule. Thus far, the cited renewable capacity of 84 GW (the oficial figure is 97.4 GW for 2015) delivers scarcely more electricity than the country’s 23 GW of lignite power generation. A high number of citizen solar projects, commercial wind farms, and grid reconfigurations will still be required to decarbonize Germany’s electricity market, a process extending over at least another two decades. 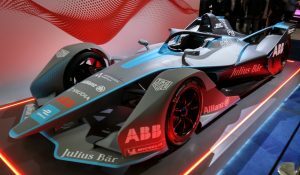 Even then, the building and motor vehicle sectors as well as the chemical and steel industries will continue to rely largely on fossil fuels. Ukraine is more dependent than Germany on district heating networks that could not be easily converted to renewable energies. Coal is instead imported from South Africa, the United States, and Australia. Cancelling these shipments would not improve domestic economic perspectives. Otherwise, Poland and the Czech Republic would already be moving away from coal. An Energiewende demands reliable bookkeeping, but Germany has neglected that requirement. Meeting its 40% greenhouse gas reduction target by 2020 would amount to retiring the equivalent of two times all the lignite power plants in eastern Germany. These installations are instead being sold to the Czech EPH to sustain their operation. After nuclear phase-out schedules had been postponed in 2010 by concerns over grid supply security, Germany returned to its renouncement of nuclear power a year following the Fukushima meltdown. Such inconsistent policies cannot be recommended for emulation by Ukraine, which should instead examine its own economic prerequisites as the basis of future policy decisions. The Chernobyl reactor was a graphite-moderated design intended to produce plutonium for nuclear weapons. The Soviet Union may have established that operation in Ukraine rather than near its own centers of military command on the basis of greater proficiency. The continuation of nuclear power generation might now be of less concern than the declining motivation and expertise reported elsewhere. Germany has experienced numerous incidents at certain nuclear power plants, with operators attempting to maintain profitability as the final shut-down dates approached. When the log books were opened at one accident-prone Vattenfall plant, hundreds of procedural infractions had not been reported in disregard of federal safety regulations. Before Ukraine could reduce its dependency on conventional energy resources, it would first need to improve trade balances by developing exportable products to obtain more favorable credit terms. A 4 MW solar farm was recently announced for the Chernobyl zone, and 570 MW of national solar capacity is expected by the end of the year. Coupling particular industrial processes such as the manufacture of building insulation to hours of sunlight would yield compounded benefits of energy utilization. The adoption of advanced metering technologies would likewise be essential for implementing an energy transition. For years, a Kyiv university institute performed laboratory measurements of every type of power meter produced in the world. 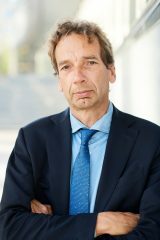 Resource conservation techniques using real-time monitoring, demand-side management, and transitional usage simulations could now be developed and marketed internationally, including to Germany. Ukraine has repeatedly paid for imported Russian gas with shipments of sugar. An examination of value-added prospects for alternative cropland utilization might instead contribute to international decarbonization efforts and provide negotiable greenhouse gas reductions of more significant magnitude. 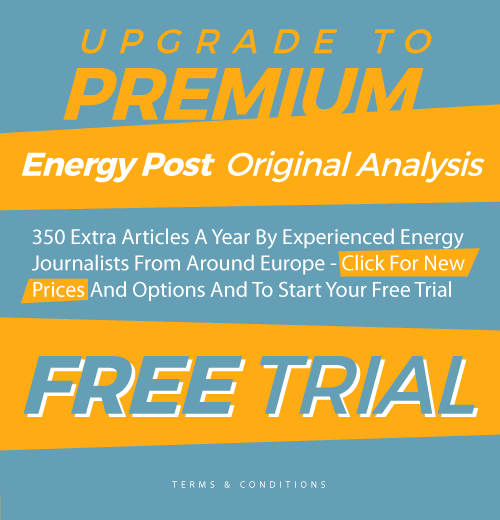 By pursuing such innovative flanking efforts, Ukraine’s Energiewende could emerge as a combination of local capabilities coupled with international market opportunities that have yet to be appreciated.